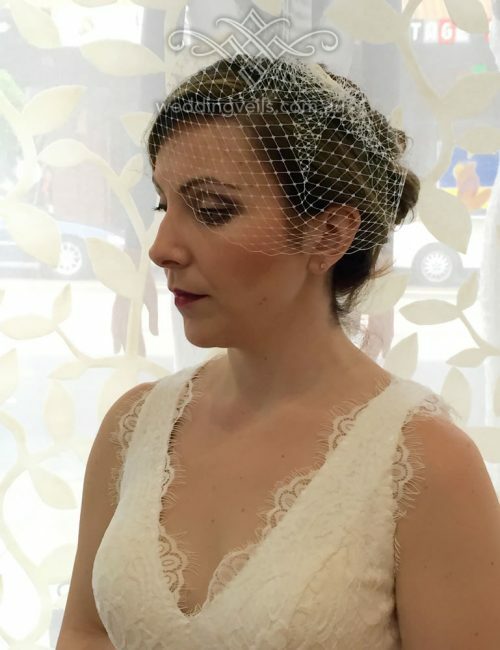 Simple and elegant, our Emily birdcage veil is the perfect finishing touch! 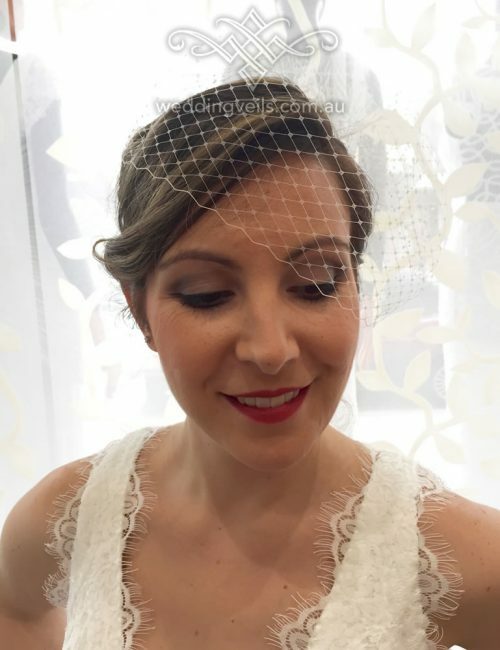 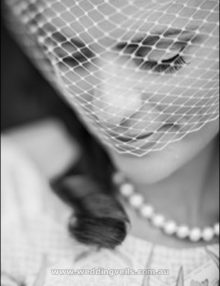 This birdcage veil is made from French netting and is designed to be worn on an angle or across the eyes. 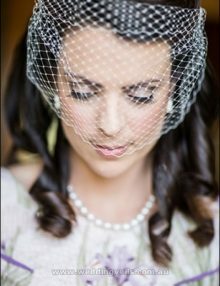 Has a metal comb at the top for easy placement in the hair. 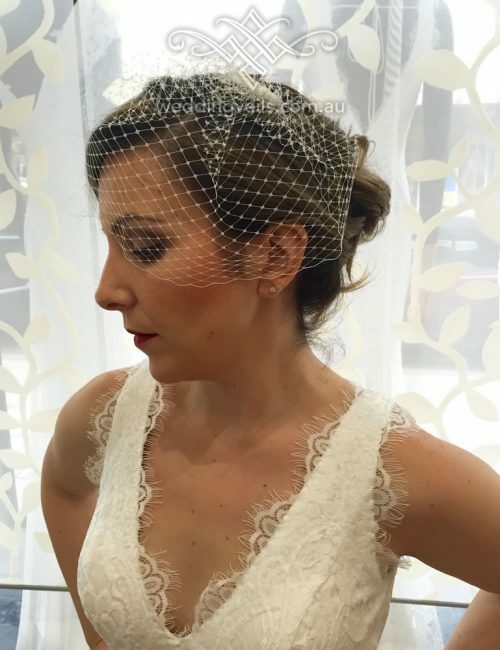 A few hairpins are needed for styling just the way you like it. Can be worn on its own, or add a hair accessory beside it for extra glamour.